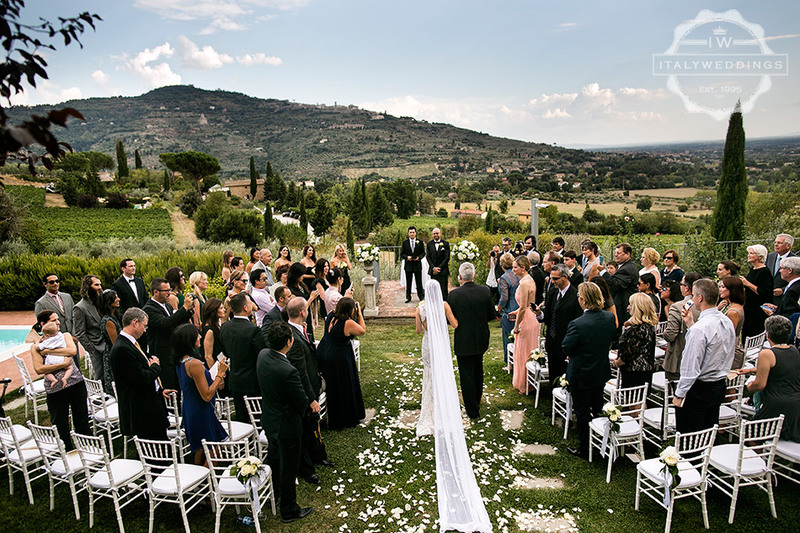 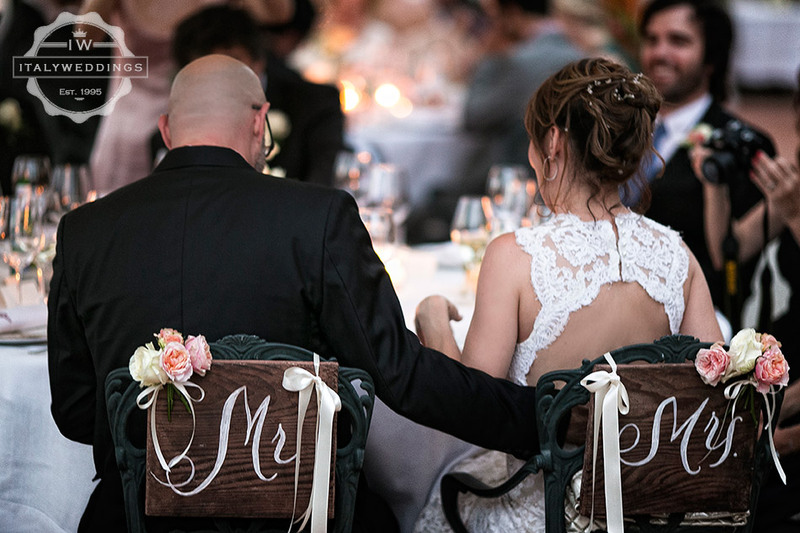 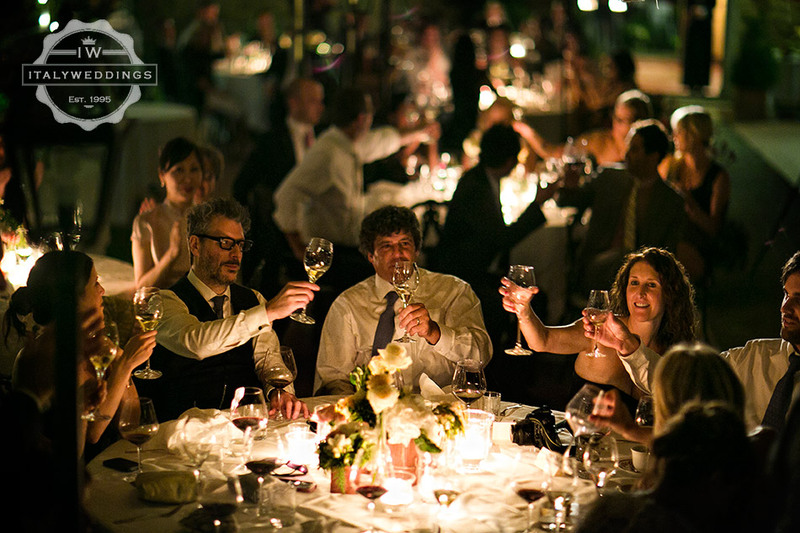 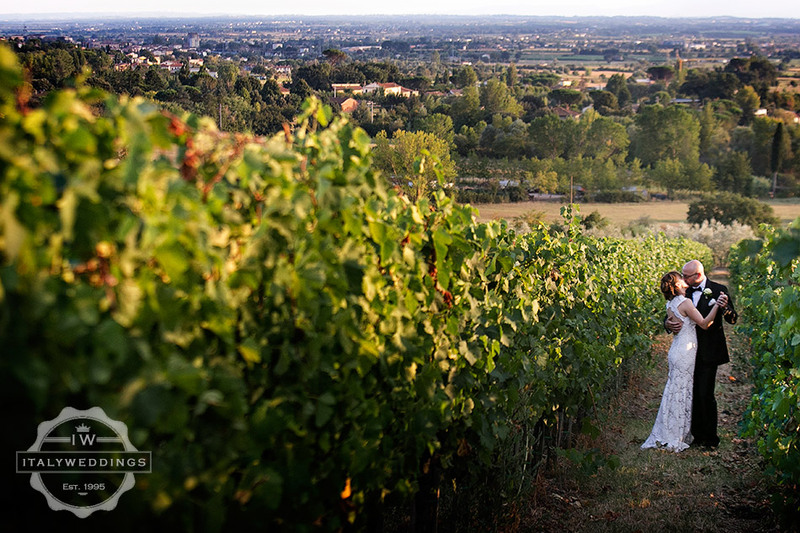 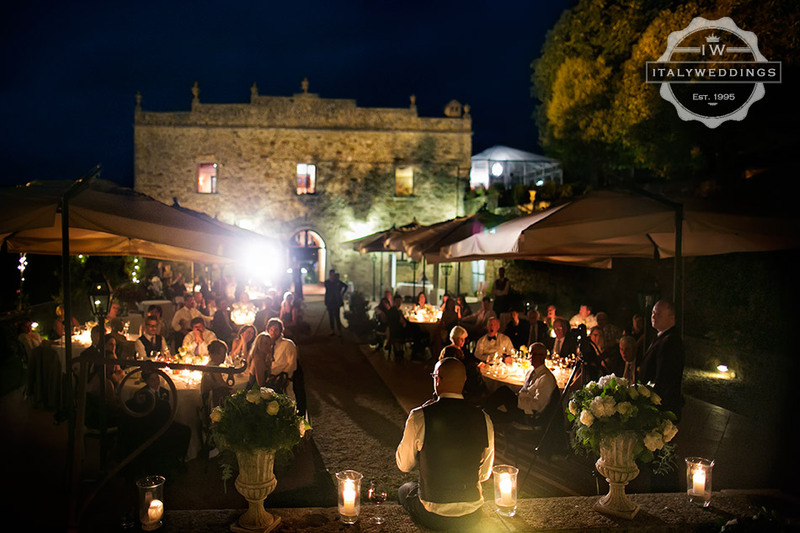 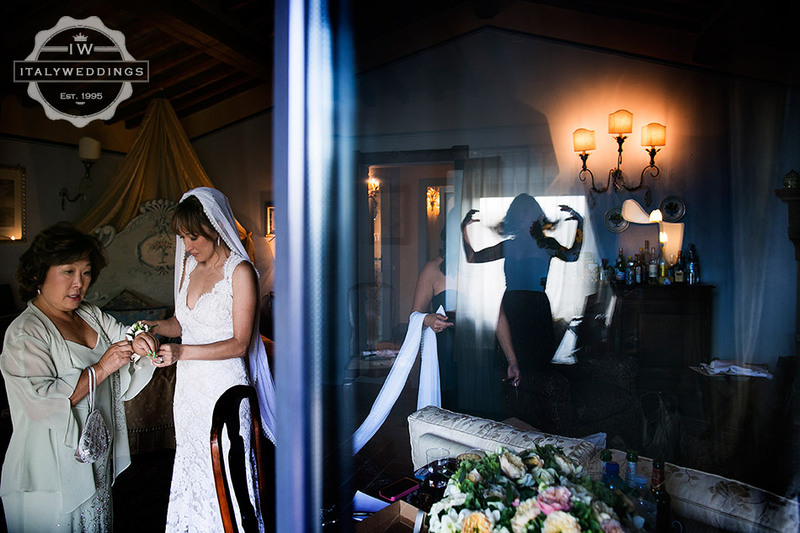 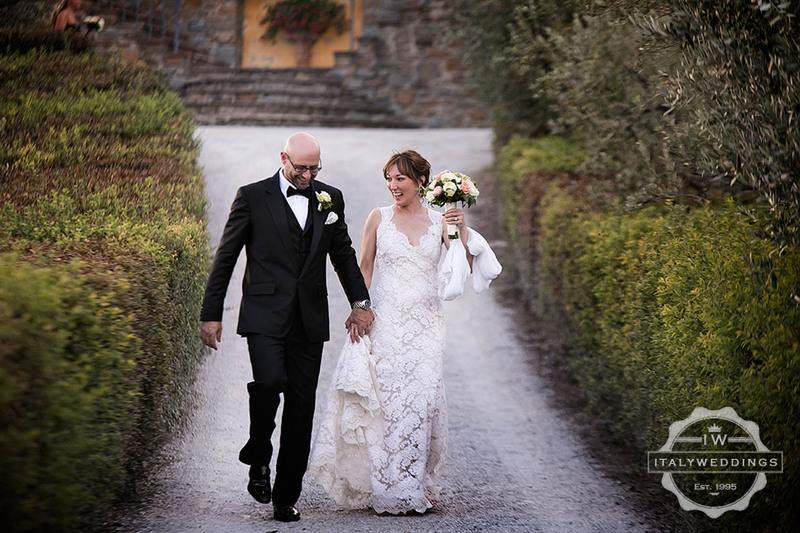 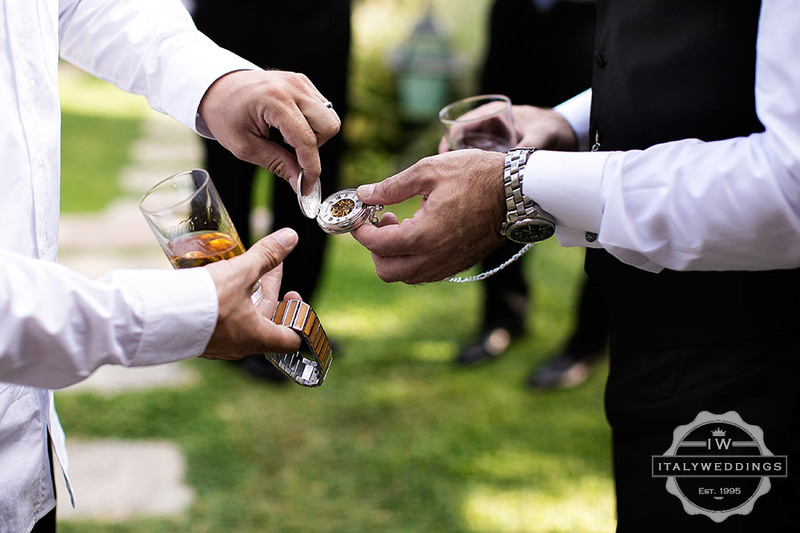 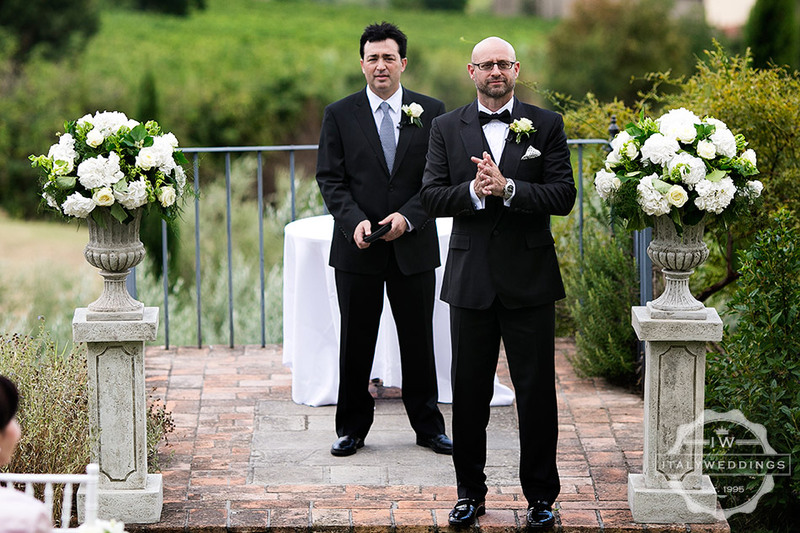 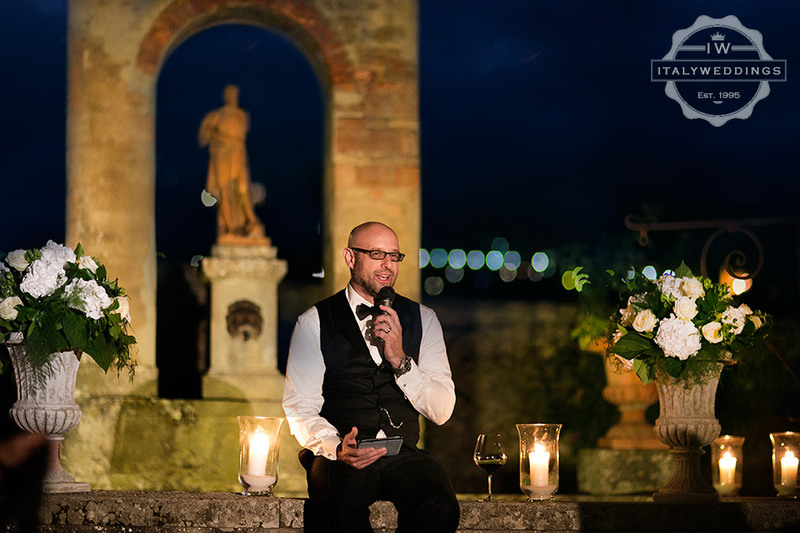 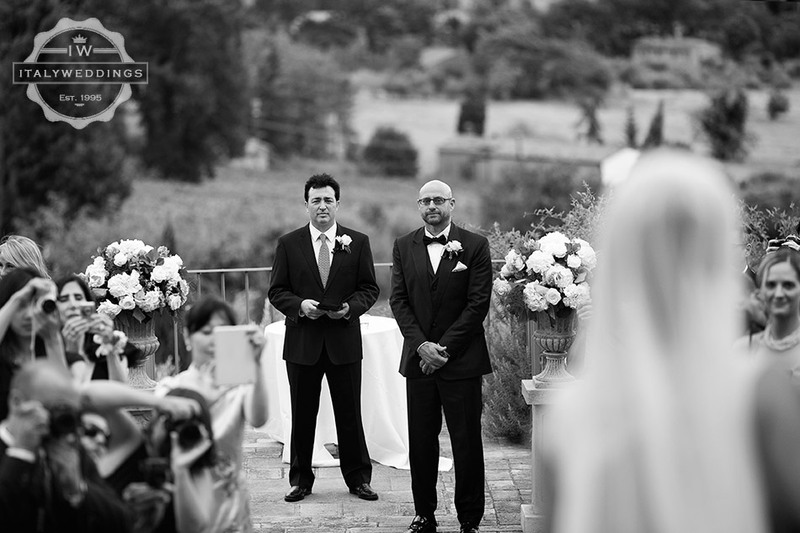 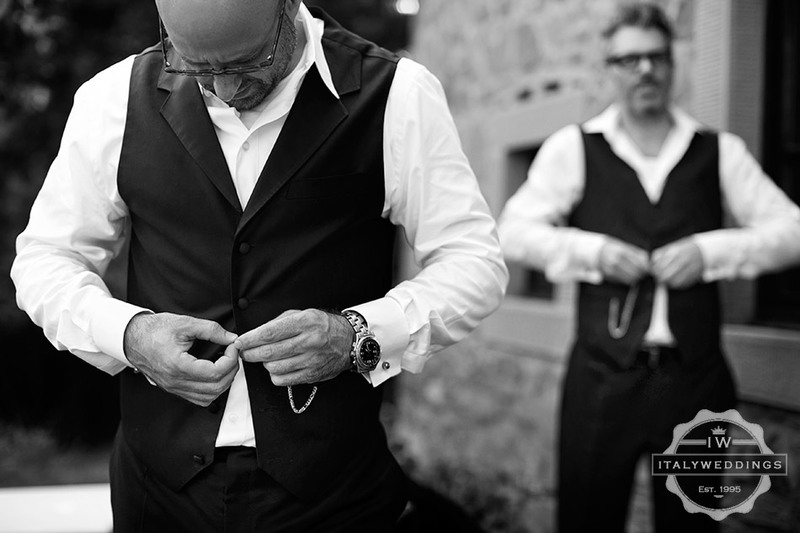 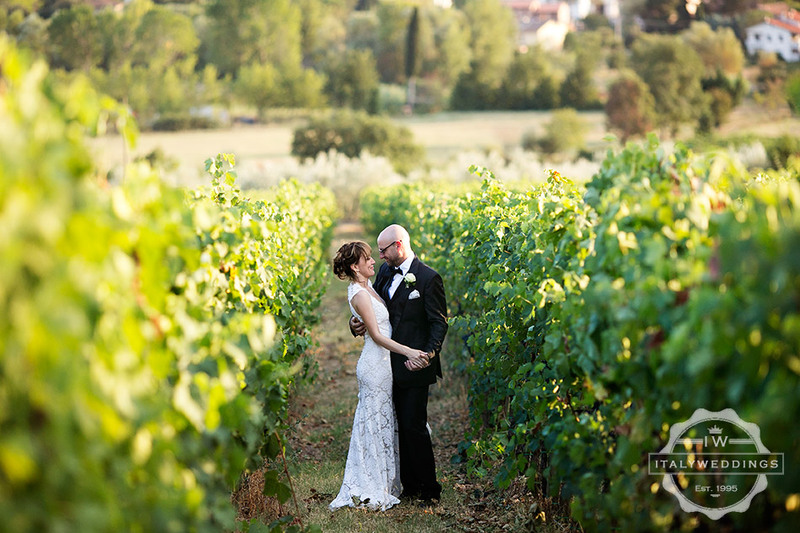 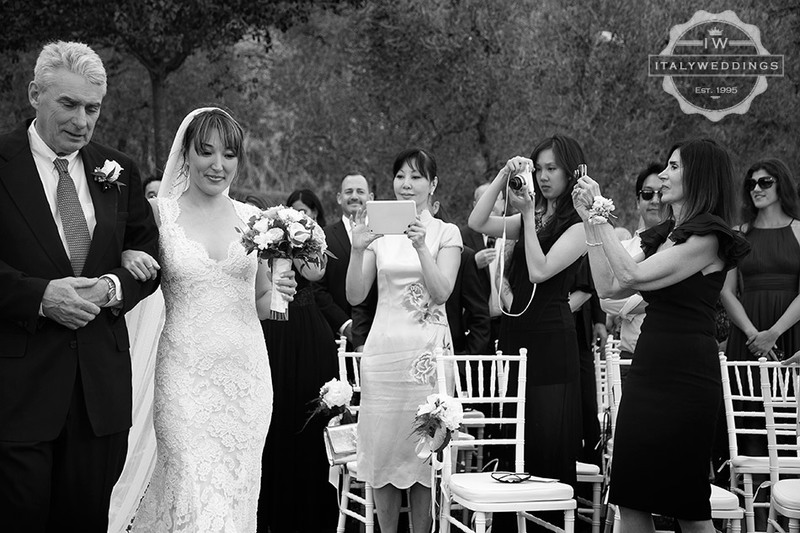 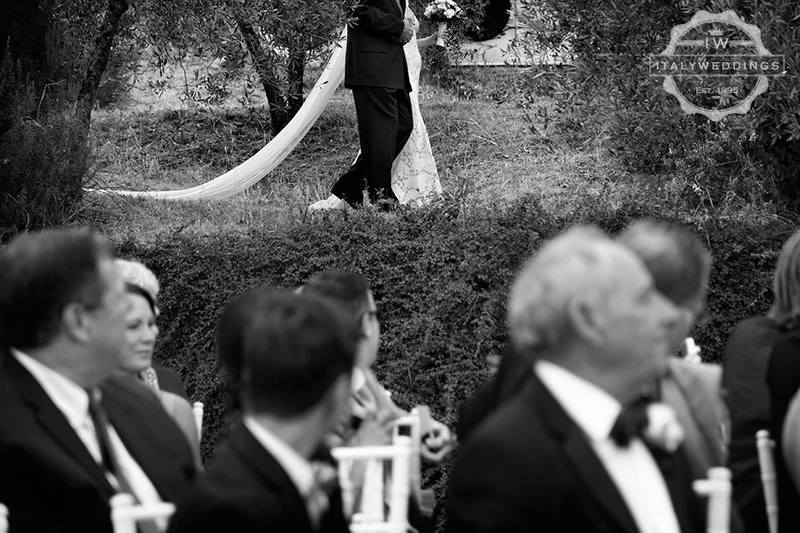 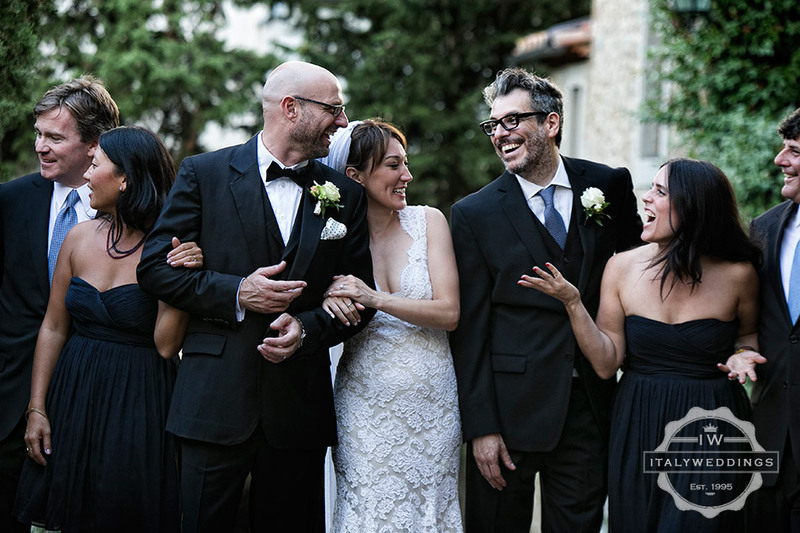 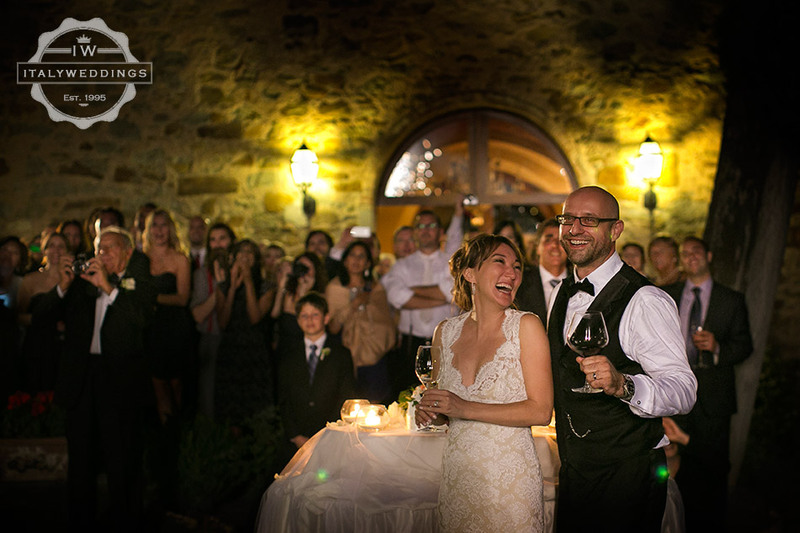 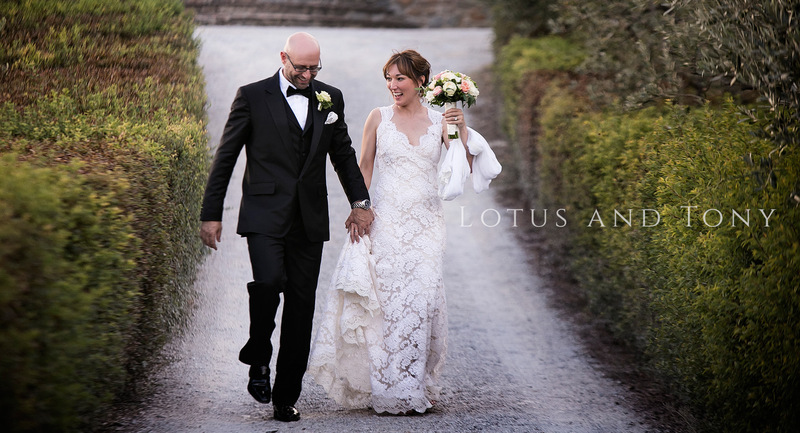 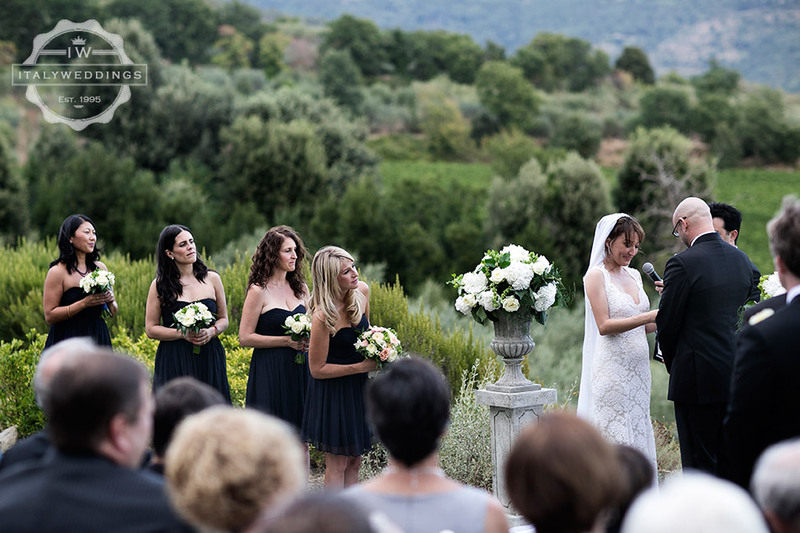 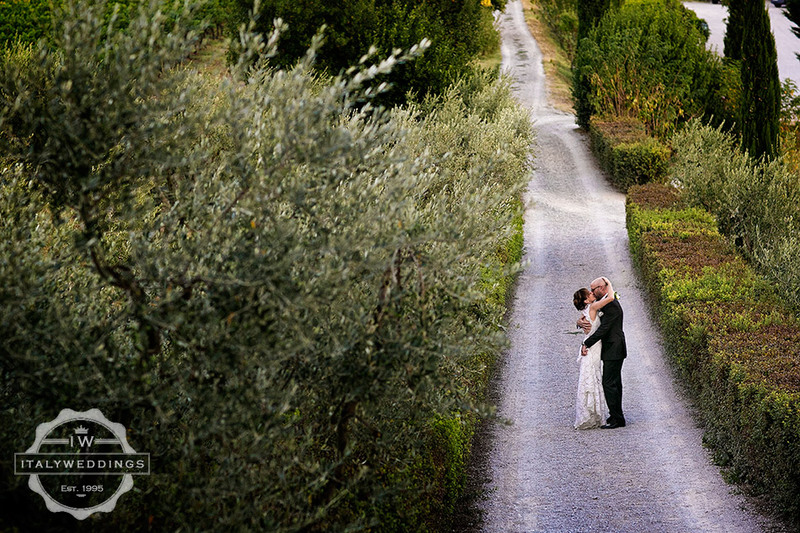 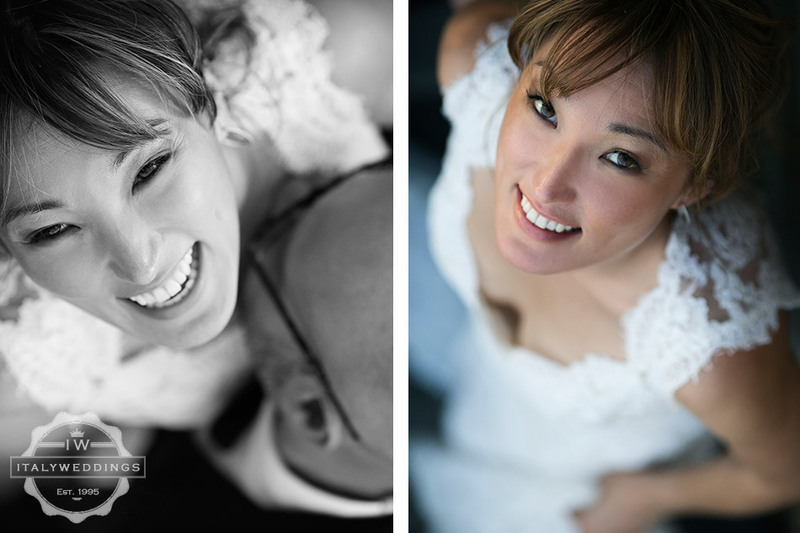 Lotus and Tony arranged a symbolic blessing at the beautiful Villa Faggio, in Southern Tuscany. 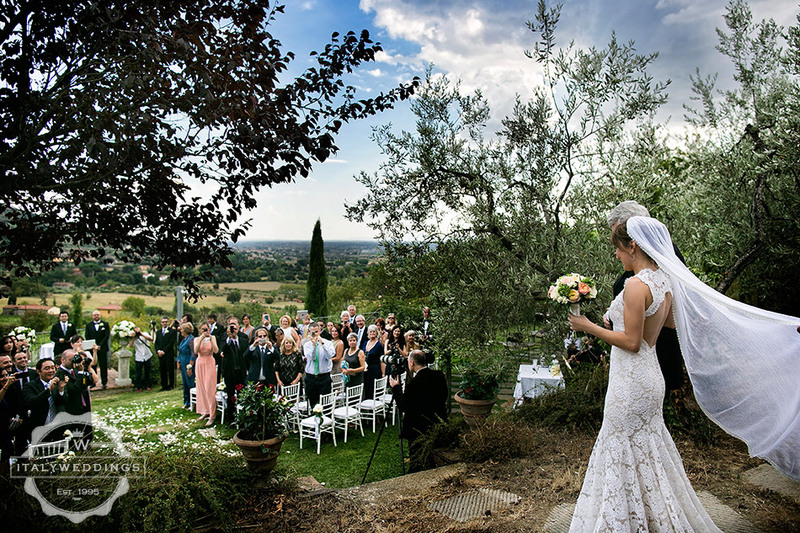 This elegant villa is just outside the hilltop town of Cortona – a medieval jewel that become recently more famous for the book and movie, Under the Tuscan Sun.The town maintains its ancient charm, but also offers activities, wine tasting, great restaurants and breath taking views over the Trasimeno lake and valley. 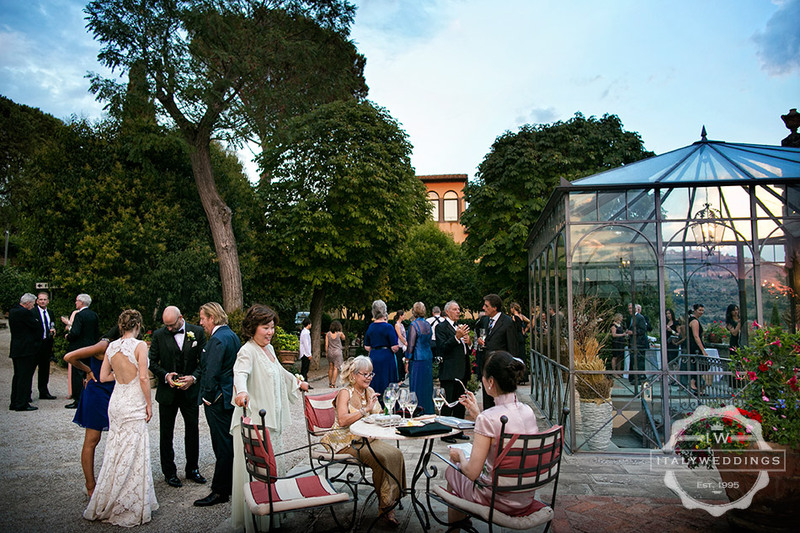 The blessing was held in the grounds of the villa, and the majority of the guests were hotel guests at Villa Faggio, so had just a brief walk to the ceremony, then back to cocktails, reception, and the shortest of stumbles back to their rooms at the end of the night. 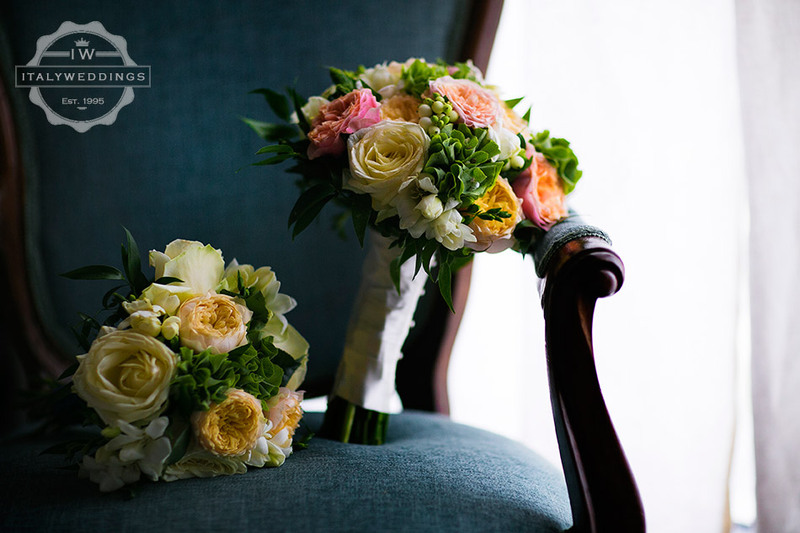 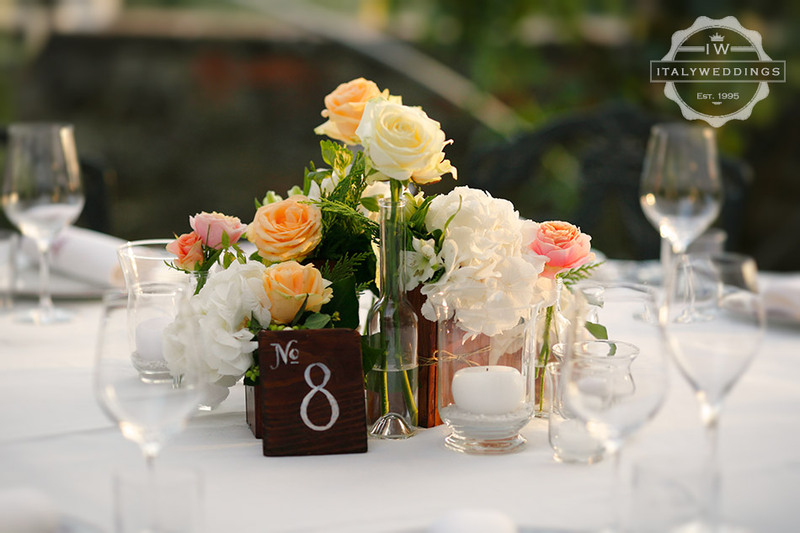 The couple opted for an elegant and rural style for the flowers and decoration – totally in keeping with the setting, and the time of year. 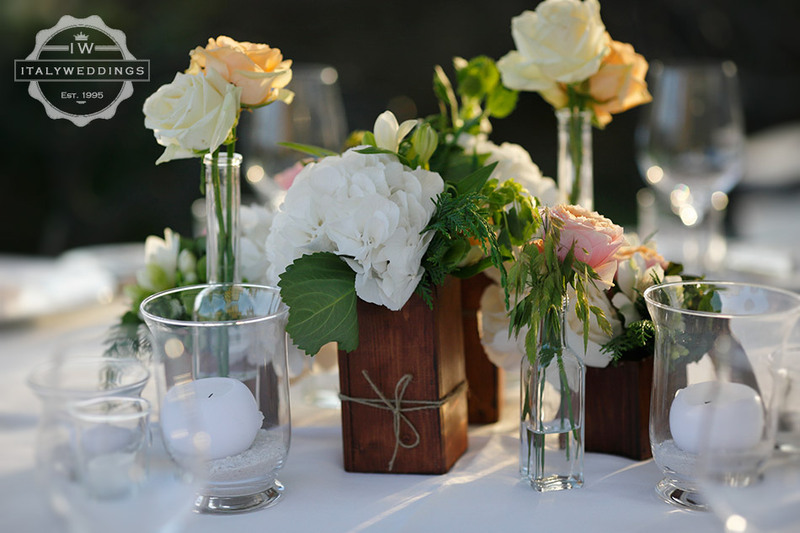 Hydrangeas and roses, stone vases and for the tables, wooden boxes and mixed jars and vases with single flowers and small bunches, to give a full and rich feel. 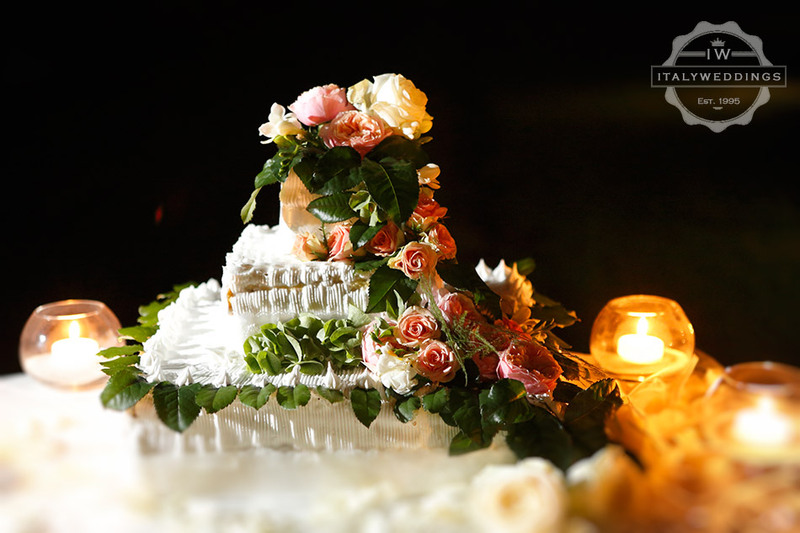 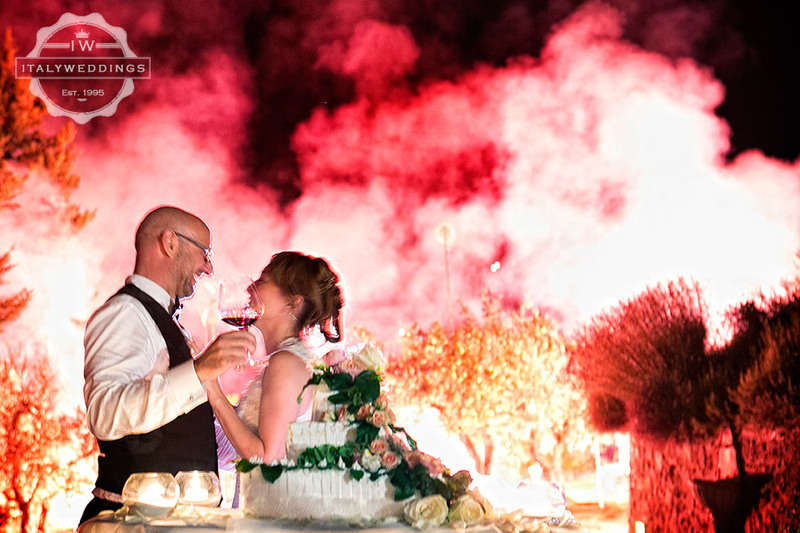 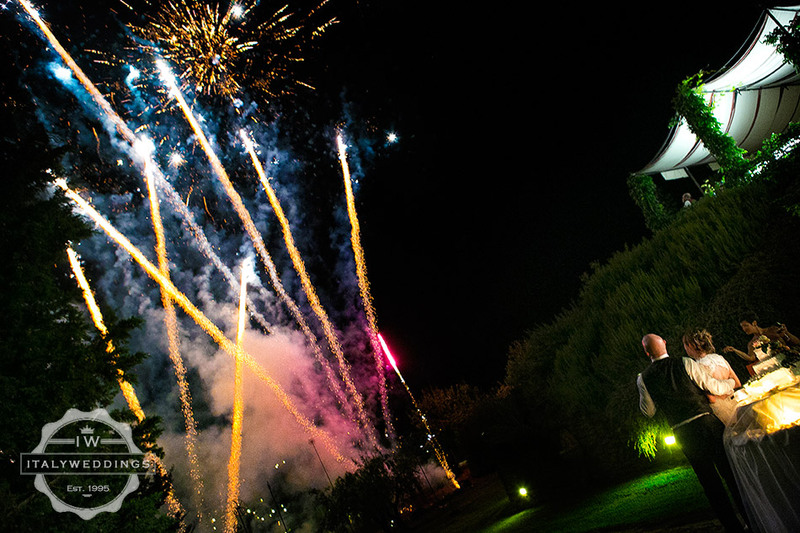 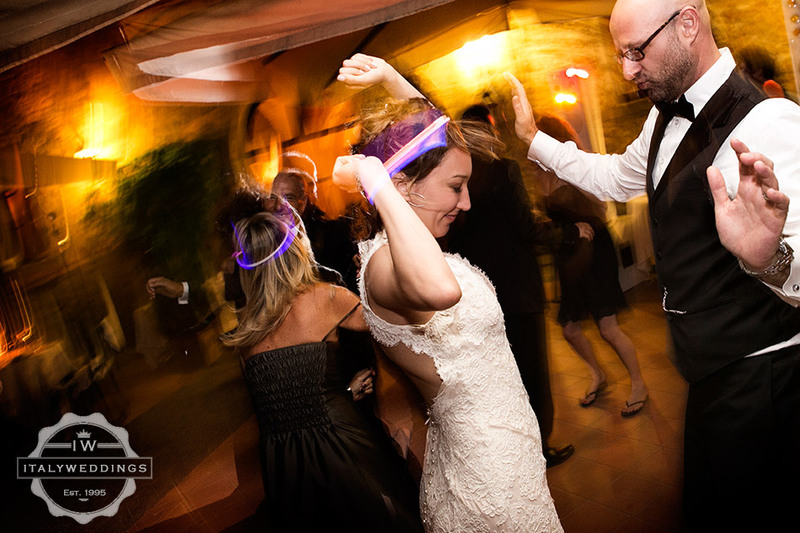 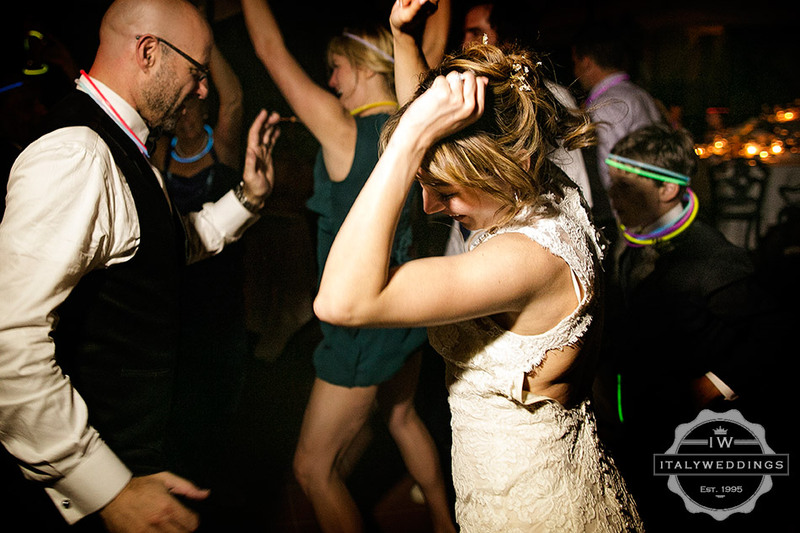 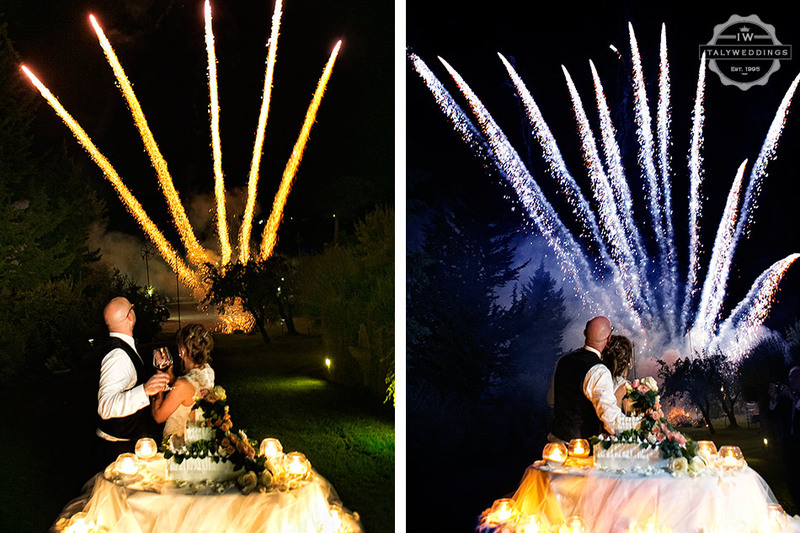 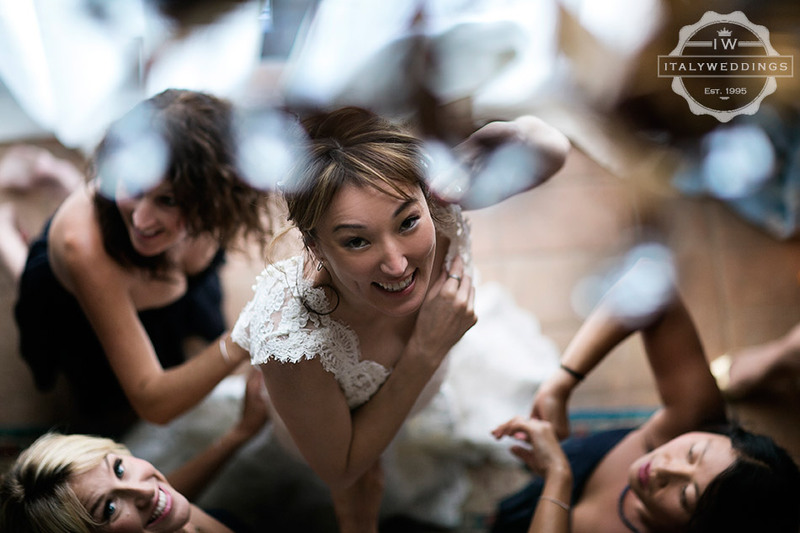 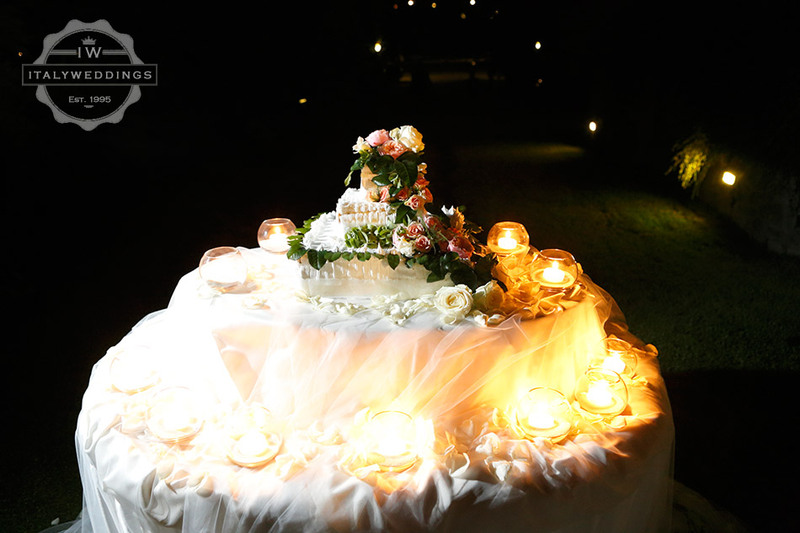 A surprise for everyone, including the bride, were fireworks that the groom and Italyweddings arranged, coordinated with the cutting of the wedding cake.